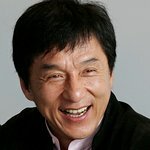 Last month, LookToTheStars.org brought you a story about action star Jackie Chan's song in honor of eight Chinese peacekeepers killed in Haiti. Chan has now blogged about the experience, and his personal donation to victims of the disaster. “When I sang the song, tears almost came out of my eyes because I realized at that moment that these people sacrificed their lives for peace,” he wrote on his personal blog. "There are so many people around the world right now who are risking their lives for peace. I still don’t understand why so many countries are still fighting each other. Remember, we can choose our friends but we cannot choose our neighbors! Chan has also been nominated for three Green Globe Awards – Asian Cultural Ambassador of the Year, Asian Cultural Ambassador of the Decade, and 10 Outstanding Asians in Hollywood. The online voting site for the Green Globe Film Awards at www.movie-voters.com allows 100 Viewer’s Choice Awards to be selected by film lovers, critics and movie viewers from around the world. Awards will be presented to leading major motion picture, environmental, humanitarian, animated and international filmmakers, movies and actors. The Grand Sponsor of the event, the Westin Bonaventure Hotel in Los Angeles, will be hosting the Green Globe Film Awards and Emperor’s Dreams Dinner Gala on March 23, 2010 in the California Ballroom with a 1,200 person sit-down dinner banquet and surprise performances by Hollywood’s and Asia’s top entertainers. To vote for Jackie or your favorite stars/movies, click here. Jackie Chan: Kung Fu PSA for WildAid.